I really have no idea what’s going on in the music, it’s too bebop for my comprehension. It appears to mostly be in the key of C# minor but then modulates during the bridge section of the tune, I guess? 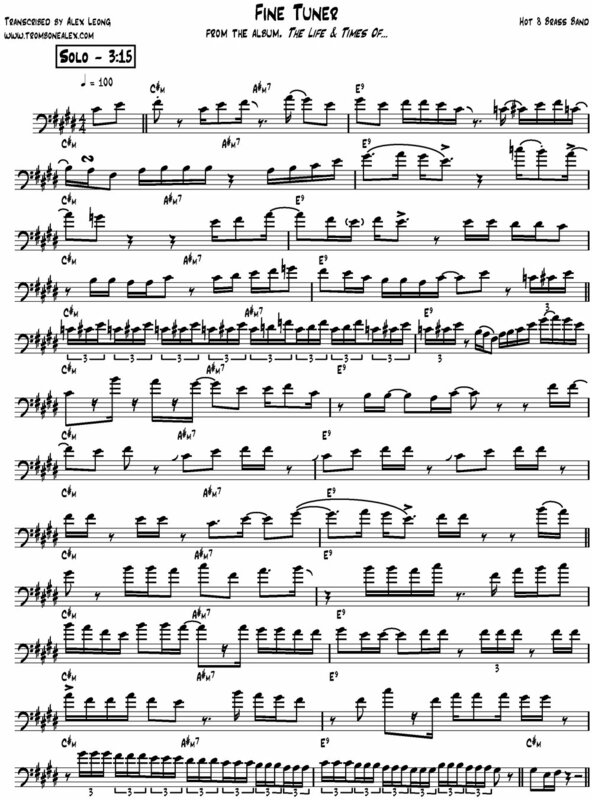 I settled on the changes underneath the solo to be C#m - A#m7 - E9, which makes no sense to my simple brain other than just subtle dissonance with a moving bassline. However, I like to think of C# minor as Db minor, a half-step lower than playing in the key of D minor, or like its “grunge tuning” relative. Trombone Shorty makes an appearance on this (live) recording. His flashy solo utilizes the upper register to cut through the muddiness of the live band, along with a flubbed note that could not be “fixed in the mix,” Shorty’s energy propels the music without relying on the subtleties or nuances of a recording studio. And as a result of this featured collaboration, Trombone Shorty opened the eyes and ears of a mainstream audience to the hard life and times of the Hot 8 Brass Band, mine included. Here is a YouTube video of the Hot 8 Brass Band playing "Fine Tuner" with second line. Recommended reading: Roll With It: Brass Bands in the Streets of New Orleans by Matt Sakakeeny. Published by Duke University Press.